Three bedroom and three bath New England Cape Cod home (1510 square feet). Centrally located to afford all that West Hollywood has to offer. This updated WeHo home, located in the desirable Norma Triangle adjacent to Beverly Hills, is ready for your suitcase and toothbrush. A short walk to all the glamour of both the Sunset Strip and Santa Monica Blvd., and steps from Beverly Hills. Fresh paint, lovely hardwood floors, updated windows, fireplace with gas logs & brick chimney, and tons of built-ins. Roof recently replaced. Private, serene patio garden and separate side patio. 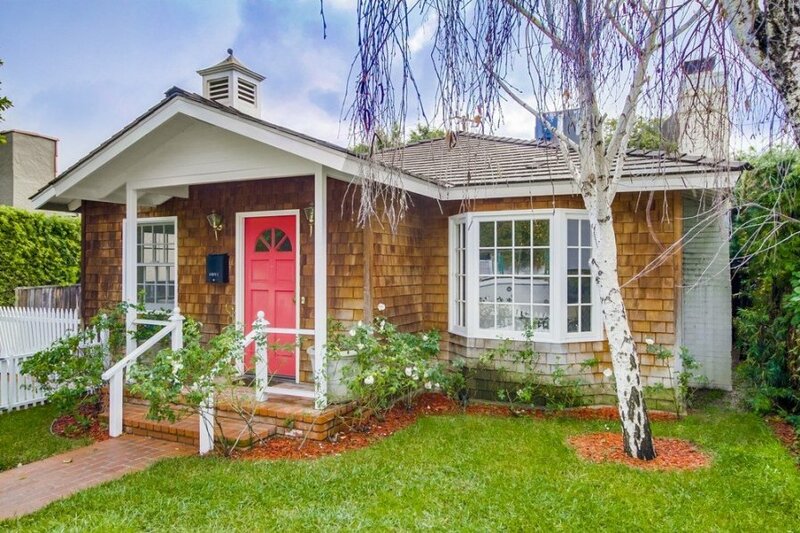 There is a direct view of Marilyn Monroe's first Beverly Hills home. The house is within walking distance of some of West Hollywood's finest restaurants: Craig's, Boa, Pump Restaurant and Lounge, the Abbey, Catch, Sur Restaurant, and the celebrity hot spot, Craig's. The house has four TVs (satellite system), one in each bedroom and a surround sound entertainment system in the front room.